After facing demolition for nearly a year, the Downey, CA, building where Taco Bell got its modest start will live to see another day. It’ll just see it from a different location: the fast food restaurant’s corporate headquarters in Irvine. 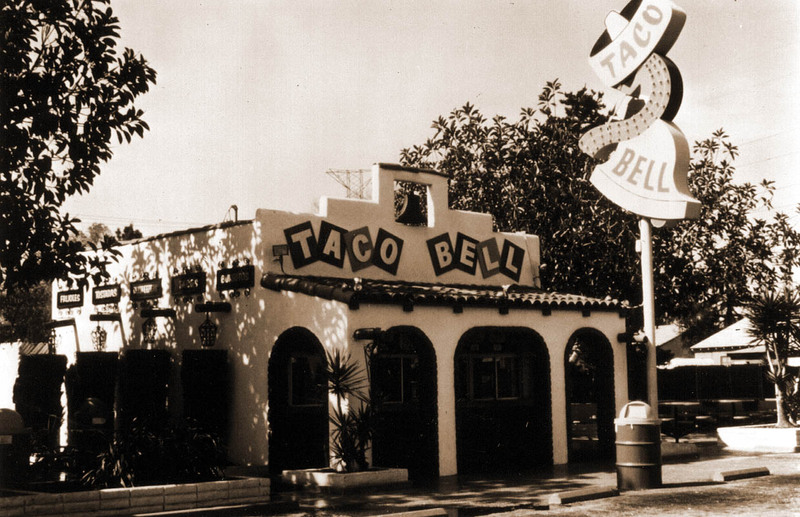 The currently vacant 400-square-foot Spanish-style stucco building where Glen Bell began his fast food venture in 1962 became the center of a community campaign to save it from demolition earlier this year when preservationists at the Downey Conservancy determined the structure was in peril. The OC Register reports that the building, located at 7112 Firestone Blvd., will now make a 45-mile, four- to five-hour overnight trip to Irvine beginning on Thursday evening. While Taco Bell remained rather mum on the efforts to save the building, other than to promote the #SaveTacoBell campaign on social media and commissioning a feasibility study on moving the building with We Are the Next, the fast food corporation is encouraging fans to watch the relocation live via webcam. The company says the structure will be lit up “like the Fourth of July” during its trip through Downey, Norwalk, Cerritos, La Palma, Buena Park, Anaheim, Orange and Tustin. Katie Rispoli, executive director for We Are the Next, tells the OC Register that while the building isn’t made by a famous architect and might not be particularly beautiful, it demonstrates that ordinary buildings can have tremendous stories. A rep for Taco Bell says the building will serve as storage until it can determine how else it can be utilized. And to make that decision, the company is turning to its fans on social media. “This isn’t a decision that should be made in a boardroom, but a social experience that can allow our biggest fans to truly be a part of Taco Bell history,” Marisa Thalberg, chief brand engagement officer for Taco Bell, says. While the original Taco Bell hasn’t been serving up gorditas, chimichangas, and chalupas for about 30 years, a Taco Bell/Pizza Hut hybrid store is located a short distance away. Downey is also home to another destination for fast food historians. The oldest existing McDonald’s (which is actually the third one ever built) is only a short drive across town.